Troms county governor is a representative of the King and Government of Norway. The county had a population of 161,771 in 2014. Troms has many fjords and mountainous islands; the highest mountains are inland. Altevatnet in the interior of the county. Jiekkevarre reaching more than 1,800 m / 6,000 ft (1,828.80 m) high from Balsfjord; February 2009. Bardu can get down to −35 °C (−31 °F), while summer days can reach 30 °C (86 °F) in inland valleys and the innermost fjord areas, but 15 to 22 °C (59 to 72 °F) is much more common. Along the outer seaboard, a summer day at 15 °C (59 °F) is considered fairly warm. Sunlight The aurora borealis is a common sight in the whole of Troms, but not in summer as there is no darkness. As with all areas in the polar latitudes, there are extreme variations in daylight between the seasons. As a consequence of this, the length of daylight increases (late winter and spring) or decreases (autumn) by 10 minutes from one day to the next. Source: Almanakk for Norge; University of Oslo, 2010. Note: The sun is below the horizon until 15 January in Tromsø, but the low sun is blocked by mountains and not visible until 21 January. Salangen mountains; snow cover lasts usually into late April or early May in the lowlands. Troms county birch trees forms the tree lines, often 200 metres (660 ft) above other trees. Rowan, aspen, willow, grey alder, and bird cherry are common in the lower elevations. Small farms and mountains in Lenvik; June 2007. Many villages are located at the head of fjords; this is Nordkjosbotn at the head of Balsfjord, 1-hr drive south of Tromsø. Tromsø was for many decades an important base for hunting and whaling in the Arctic. Harstad (#7) on 1 January 2013, and that is not reflected on the map below. Summer evening in Jøkelfjord, Kvænangen. Haugan, Trygve B, ed. (1940). Det Nordlige Norge Fra Trondheim Til Midnattssolens Land. Trondheim: Reisetrafikkforeningen for Trondheim og Trøndelag. Moen, Asbjørn (1998). 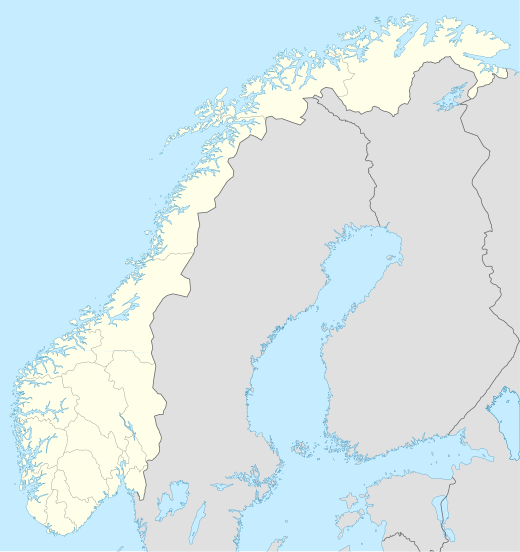 Nasjonalatlas for Norge: Vegetasjon. Hønefoss: Statens Kartverk. ISBN 9788290408263. "24-hr averages, 1961–90 base period". Norwegian Meteorological Institute. Tollefsrud, Jan Inge; Tjørve, Even; Hermansen, Pål (1991). Perler i Norsk Natur – En Veiviser. Aschehoug. ISBN 9788203166631. Almanakk for Norge. University of Oslo. 2010. ISBN 9788205394735. Wikimedia Commons has media related to Troms. Wikivoyage has a travel guide for Troms.